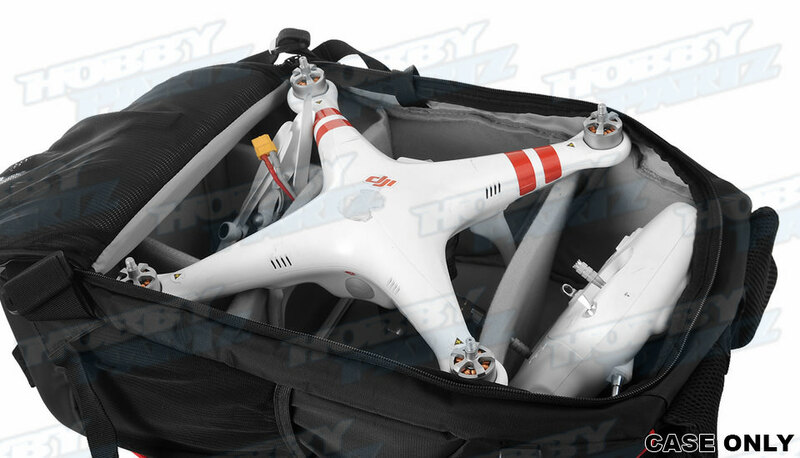 Need a handy carrying case for your quad? 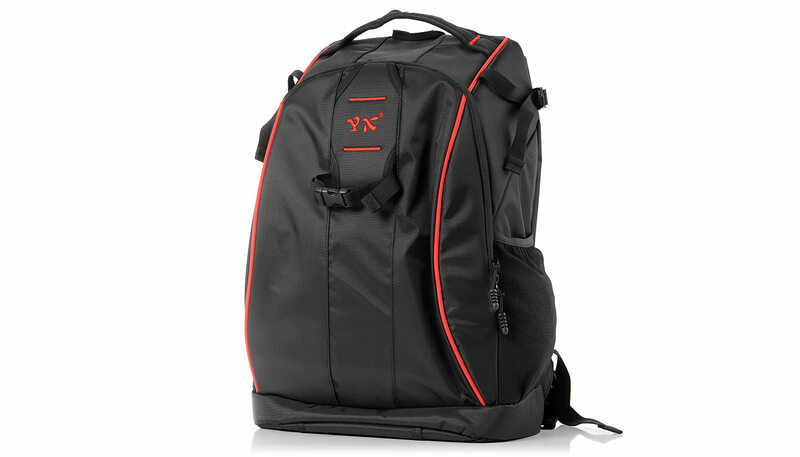 This backpack has all the features you need. 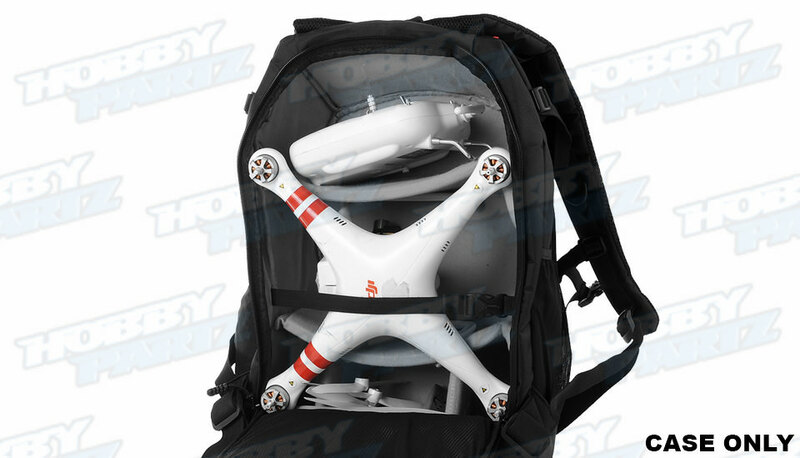 Constructed out of durable nylon material, this foam padded backpack can hold and protect all your quad gear and much more. 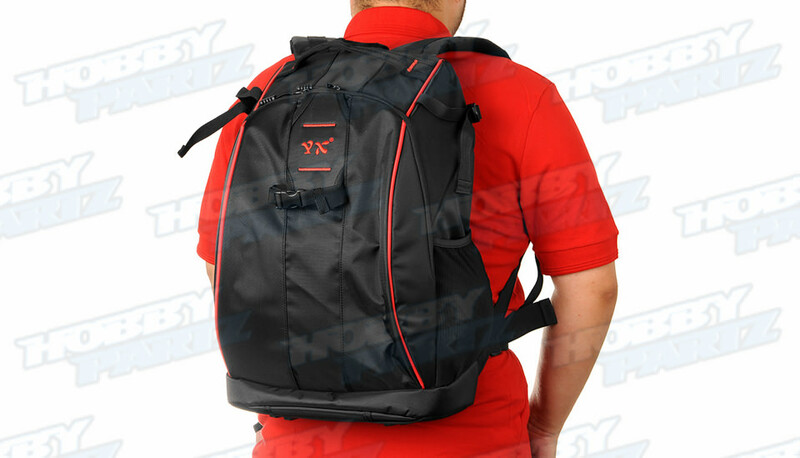 For comfort, the pack has padded adjustable shoulder straps with honeycomb type back support for increase heat dissipation and comfort. 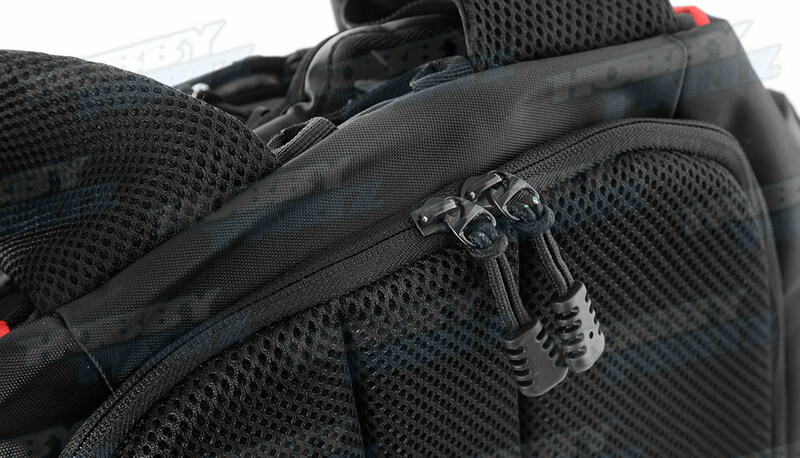 Sternum and waist straps keep the pack close to your body when you're on the move. 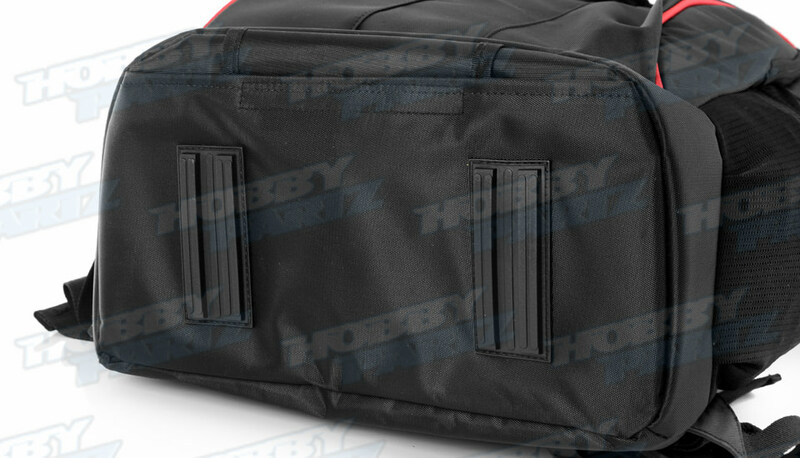 The front storage compartment is heavily padded and has 2 large and 2 small pockets for accessories and pen holders adjacent to them. 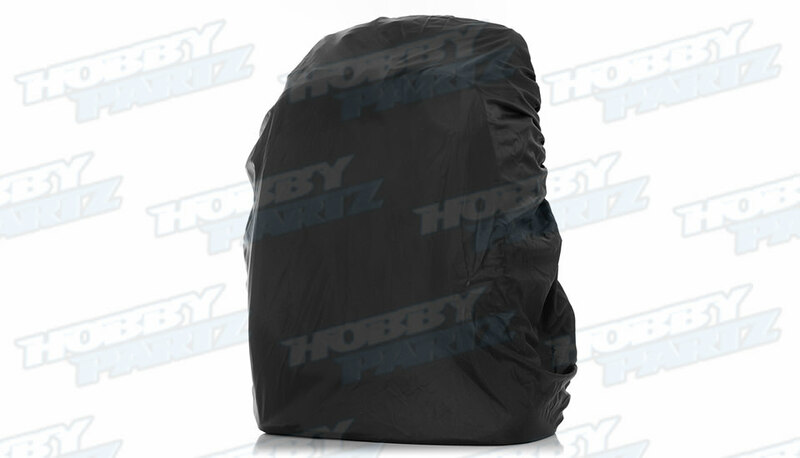 The large main storage compartment (accessed from the rear of the pack) is heavily padded and is felt lined to reduce scratching to sensitive materials. The main compartment also includes velcro adjustable organizers to better custom fit your machine and other unique items. 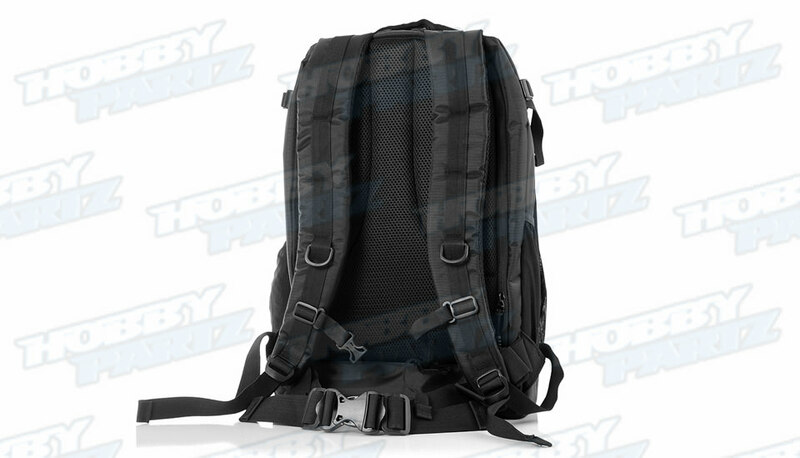 The pack has 2 elastic straps on the sides perfect for carrying hydrating bottles while compression straps line the top and bottom of the pack allowing you to cinch down your load.? A convenient double reinforced carry handle on the top of the pack gives the user quick maneuverability.? A rain cover is also included in case mother nature decides to get wet on you.